By the time March rolls around each year, the innovations in Unified Comms are usually arriving thick and fast. With so much demand and transformation in the marketplace right now, it’s thrilling to see what the world’s leading vendors have to offer in everything from customer contact to agent experience. This month, events all the way from the Cloud Comms summit, to the Call and Contact Centre Expo in London are sure to delight and thrill the comms world. Audience: One of the most thrilling events in the communication space, Enterprise Connect brings together consumers, experts, and partners from around the globe to discuss the latest software, systems, applications, and services for enterprise communications and collaboration. Event Type: This four-day educational conference program is designed to help consumers and partners in the communication space improve their investments in the collaboration and communication space. Cost: The price for an entire event pass is $1,995. However, you can purchase passes for specific parts of the conference, such as Tuesday through to Thursday at $1,695. Find more details here. Audience: Vendors and service providers with interest in cloud communications are welcome to explore the latest developments in the market at the Cloud Comms Summit. The day will consist of everything from keynotes and presentations to unique panel sessions with some of the best service providers in Europe. Event Type: The Cloud Comms Summit is an educational conference that gathers insights from Cavell’s network of SPs across Europe. Every year, Cavell presents an impressive lineup of speakers with experience in the cloud communications and VoIP space, to help you make better decisions about communication. Cost: Prices start at £125 plus VAT and a service fee of £35.34 for an individual service provider ticket. Non-service provider tickets are £300.00 plus an £83.99 charge and VAT. Find more prices here. Audience: CCW Europe is one of the largest and most impressive customer contact events in the world. The conference opens its doors to anyone interested in creating a more prosperous and immersive customer contact experience in this new age of CX. Event Type: CCW Europe is the European leg of the largest customer contact conference around, created to support companies from all backgrounds as their industries continue to be disrupted with new competition and technologies. Expect amazing speaker sessions, plenty of networking opportunities and introductions to the latest technology too. Cost: Prices for the CCW event start at £2,999 plus VAT for a 2-day solution provider pass or £2,499 plus VAT for a 4-day in-house practitioner pass. Learn more here. Audience: The Call and Contact Centre Expo in London is the must-see event for contact centre professionals who need to accelerate and enhance their performance in customer communication. The conference features insights from incredible keynote speakers, like Sharen Murnaghan of Hubspot, Sarah Masotti of Google and more. Event Type: The Call and Contact centre Expo is an expo featuring over 700 exhibitors and 500 seminars alongside the B2B and B2C marketing Expo, Marketing Tech Expo, and Sales Innovation Expo. Cost: Tickets to the Call and Contact Centre Expo are available for free, with hundreds of free masterclasses to attend! Audience: The Mitel Next conference is intended for business leaders interested in pursuing next-level technology through the cloud. With events located around the world, Next attendees can have a first-hand look at some of the innovations that could transform their company communications and deliver valuable insights to leaders. Event Type: The Mitel Next EMEA event is a vendor conference specifically designed to show off Mitel technology. The four-day experience will also feature fantastic keynote speeches from industry leaders. 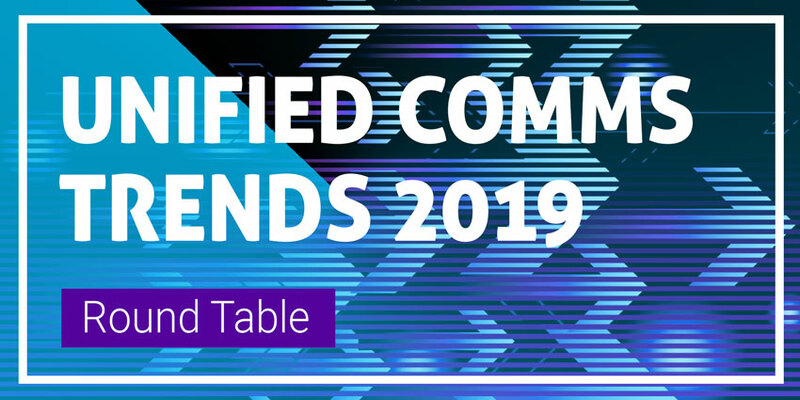 March features some of the best and biggest events in unified communications, so it’s a good time to check your schedule. Whether you’re exploring what’s next in the contact communications world and hoping for a chance to wow your customers, or you’re searching for new technology, there’s something for everyone. We’re sure to be attending at least some of these fantastic events, so why not track us down and say hi? Which conferences and expos are you most excited about for March 2019? Let us know what your schedule looks like this year in the comment space below!